Ginger Shots do," says Leeson, "which clears a big hurdle in getting this health-enhancing product into the consumer. Supervision by a qualified health-care professional is recommended for pregnant women considering the use of ginger,' the Minnesota-based Mayo Foundation for Medical Education and Research suggested. 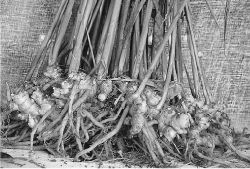 But, the researchers said that only a few human clinical trials have studied the effects of ginger on these conditions due to challenges posed by the spice's complex chemical composition and a lack of funding. However, to improve the value of ginger products, new manufacturing processes are needed, such as fermentation (Chun and Chung, 2011), steaming (or steaming and drying) (Cheng et al. We noticed a largely untapped and growing category, specifically within the sugarfree space, which presented Brooklyn Crafted with the opportunity to deliver a line of delicious ginger beers and ale. GINGER CAKE FOR THE CAKE n 250g butter n 250g dark brown sugar n 260g treacle n 300ml milk n 2 eggs n 385g plain flour n 2 tsp bicarbonate of soda n 31/2tsp ground ginger n 1tsp mixed spice n 1/5 tsp nutmeg n 1tsp crystalized ginger, cut into small pieces FOR THE ICING n 5tbsp icing sugar n Ginger syrup to mix METHOD 1 Line a 20x30cm baking or roasting tin and pre-heat the oven to 160C/gas mark 3. Ginger groups I never even knew existed have been in the touch, the Ginger Nationalist Party, Ginger Day Uk, they want to send people along to the opening. I am a former ginger myself before I started losing my hair and decided, so I know what it is like to be a ginger. All of the RCTs investigated the effect of ginger powder, at varying doses between 750-2000mg/day during the first 3-4 days of menstrual cycle, with each study lasting for two cycles. 4 THE taste of ginger was thought to be an aphrodisiac in the past because it's hot flavour stimulated circulation. The Ginger & White Cookbook features over 90 recipes from the popular Ginger & White cafes, known for their artful food and British themes. When I was a child and felt nauseated or bloated, my mother would give me a glass of ginger ale and my stomach usually settled down.